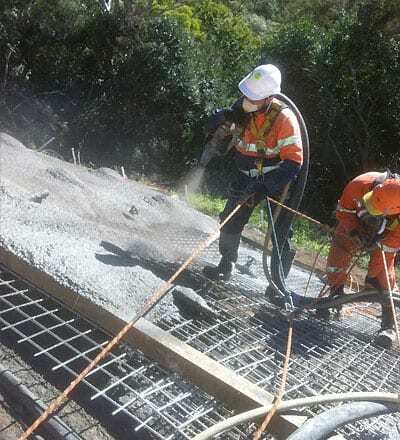 Using a hose capable of projecting wet mix concrete at high velocity onto a multitude of surfaces evenly and compacted is the easiest, fastest and most economic way to apply concrete. 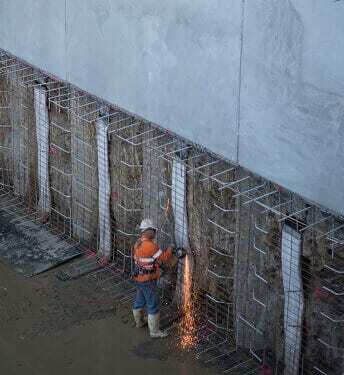 These projects have required working closely with experts in all commercial fields. 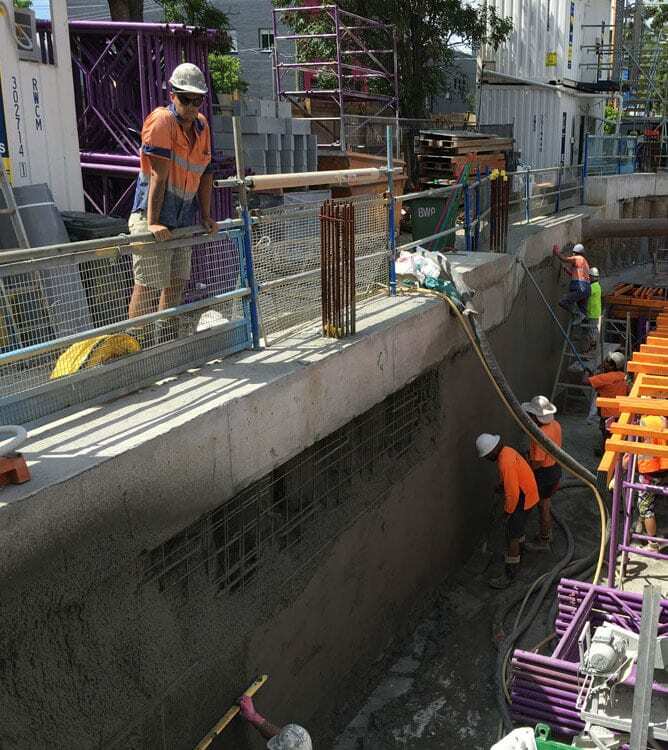 Often having strict budgets and deadlines and at Evolution we take these project requirements very seriously. 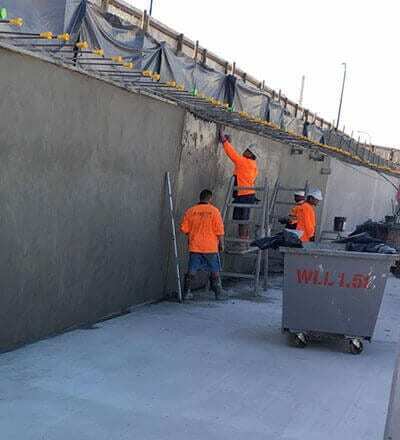 Evolution Shotcrete’s reputation for excellence has been built on experience, passion and dedication to finishing projects on time and within budget. 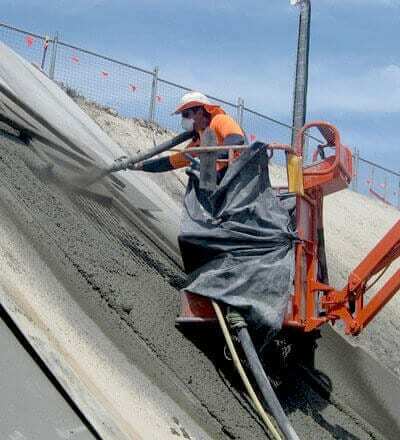 Evolution Shotcrete have the very best in shotcrete equipment and expertly trained shotcrete workers and engineers. 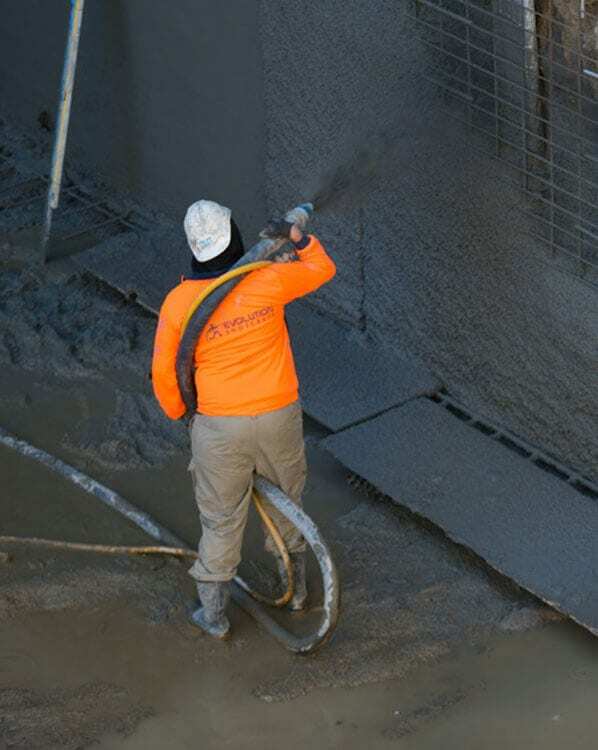 We are specialists in shotcrete application for engineering related fields such as: mining, oil + gas and rail sectors as well as civil, commercial and architecture projects. 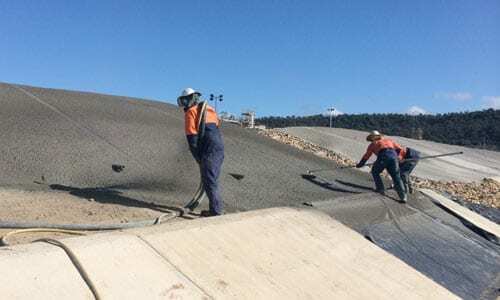 This often includes concrete applications such as: retaining walls, slope stabilisation, dam spillways, drainage and tunnels. 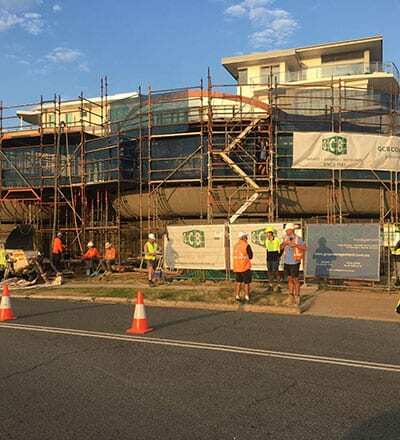 Often commercial projects have strict budgets and deadlines and at Evolution we take these project requirements very seriously. 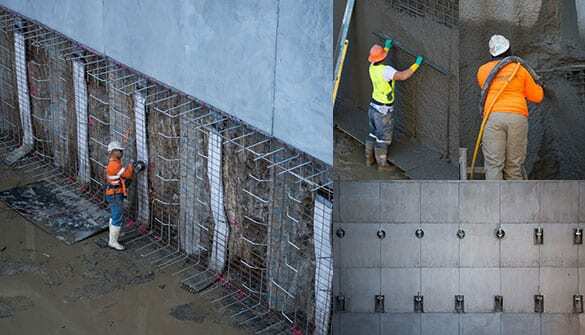 We will work alongside any existing contractors on site to ensure that all of our shotcrete, testing and engineering consultations are time efficient, of the highest industry standards and produce as little waste as possible – allowing all projects to be completed within budgets and timeframe. 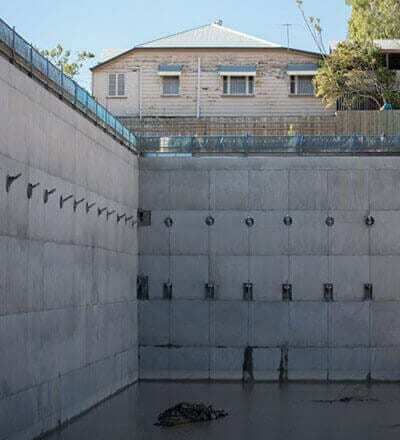 Shotcrete foundations, basements and pools are not only more durable and stronger, but can create a unique aesthetically appealing finish. 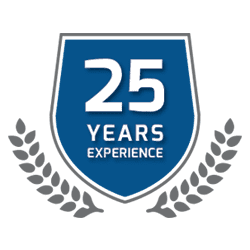 Our team of shotcreters and engineers can accomplish an almost infinite range of custom shaping and produce highly realistic, custom simulated rock formations around pools and retaining structures. 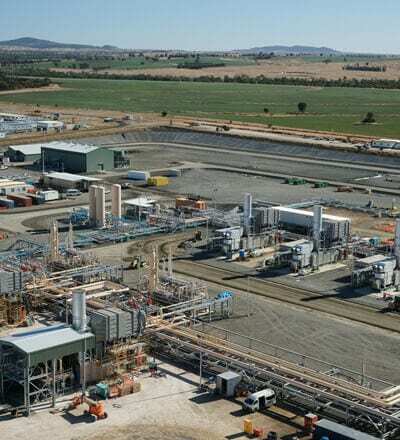 “Our projects demonstrate expert technical knowledge, sound environmental management, effective planning and accurate cost control that delivers exceptional results”.